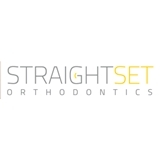 Straight Set Ortho (Garden City) - Book Appointment Online! Welcome to Jackson Heights Orthodontics! Serving Jackson Heights, Queens NY (New York) – The doctors of Jackson Heights Orthodontics are your orthodontic specialist, offering Invisalign®, Invisalign® Teen, and braces for children, teens, and adults. We utilize state of the art orthodontic technology and techniques to ensure that you will enjoy optimal results, maximum comfort and the shortest treatment time possible. Our orthodontists understand each and every patient has different needs and requirements. We offer the latest technologically, and advanced orthodontic treatment including providing treatments for children, teens, and adults. We offer a comfortable, friendly, fun environment where children and adults are encouraged to be involved in their orthodontic treatment from start to finish. Our orthodontists and our staff are dedicated to helping patients. Everyone in the office was friendly and attentive. We were given detailed information about the treatment and made it educational for my daughter and I. everything was handles with ease and we felt very good about the consult. I am comfortable asking questions and I am never waiting long. Great visit! This practice sees patients at 8 locations. 180 E Post Rd, 1st Flr.